If you’re looking for a title that encompasses the two different worlds of strategy and skill, Game Craft’s new release, Legend of War, is definitely worth spending an afternoon with. Whether it's waging war on opposing legions or forging your own empire, there’s plenty to get stuck into. What were your inspirations behind Legend of War? "Here at Game Craft, we love Clash of Clans for mobile, and Total War on PC, meaning that a Total War-esque experience for mobile was at the top of our priorities. With some of the same strategy elements behind it, yet on a smaller, more bitesized scale, we incorporated elements of both games." With regards to design, what is your preferred unique mechanic within the title? "We have a unique catapult firing system that has probably never been seen before in a strategy game. It is a pull, aim and release system that adds an exciting element of skill to a strategy game." What do you think your game offers that you can’t get from any other title on the App Store/Google Play? 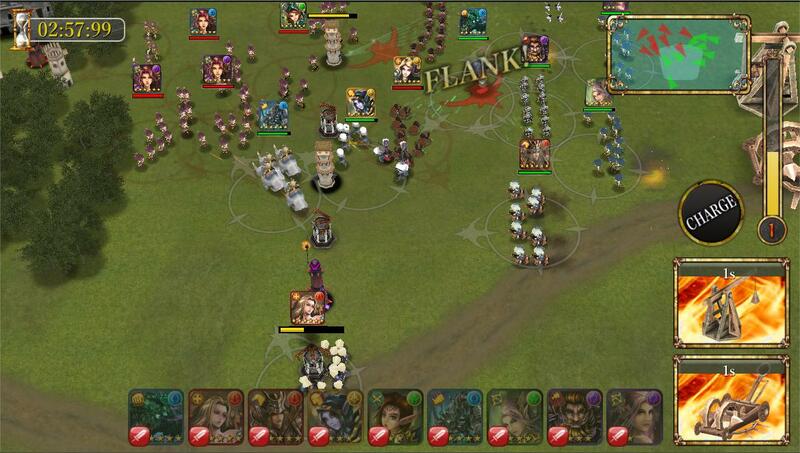 "Most games on mobile either revolve around turn-taking or smaller-scale battles. We strive to provide a larger-scale battle experience for mobile." "The biggest challenge was getting a lot of animated characters on the screen while preserving a decent frame rate. We overcame this by combining all of the meshes into a single mesh and animating it as a whole." Which part of the game are you personally most proud of and why? "With regards to complex elements, the A.I. is one of the most advanced aspects of Legend of War. We wanted an A.I. that acted like a human player and couldn’t easily be fooled by using simple techniques. For example, when attempting to lure a legion out of its defensive position, the A.I. will be smart enough not to go on a wild goose chase." Legend of War is available, free, on the App Store and Google Play from May 26th. This feature is sponsored as part of Steel Media Preferred Partners.